Great, then all we need is to get the Libtards over with them and we can start bombing. Go drink some more orange kool-aid you dolt, maybe your fuehrer Trump will let you be his shower head for a day if you do. 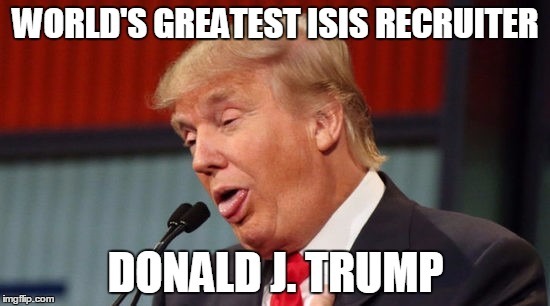 Isis loving, America hating Libtard says what? Go eat some more shiTrump.